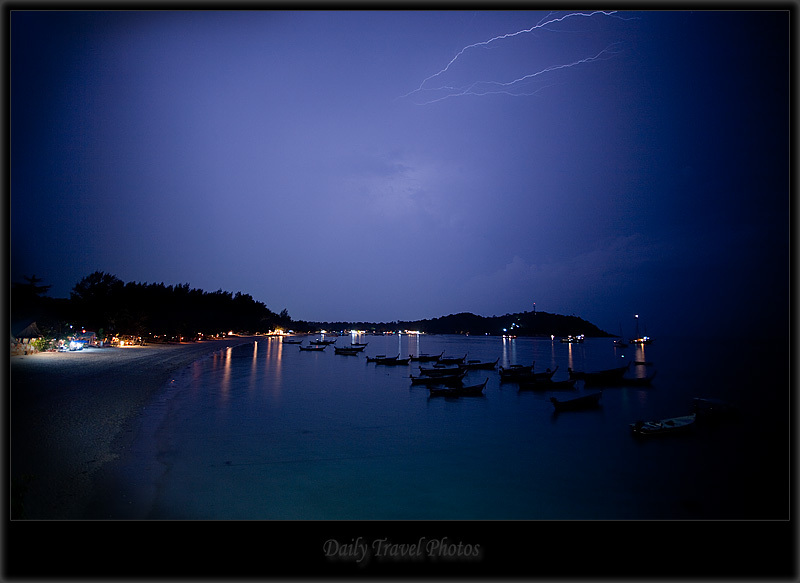 Pattaya beach & resting songthaew (boats) partially illuminated by a bolt of lightning. Of course this isn't the infamous Pattaya, a few hours from Bangkok. It's a Pattaya beach on the small island paradise in the south of Thailand near Malayasia. Note again the use of 17mm f/4.0 as yesterday's photo. Don't make the same mistakes I made in life, kids. Hola Sr. Lee. Felicitaciones por su preciosa serie de fotografías captando la magia de la iluminación nocturna. Es usted un admirable maestro.